With bright eyes, lashes primed to perfection and face glowing with radiant hues…the only indication that Talia Castellano may be suffering from cancer is her lack of hair. 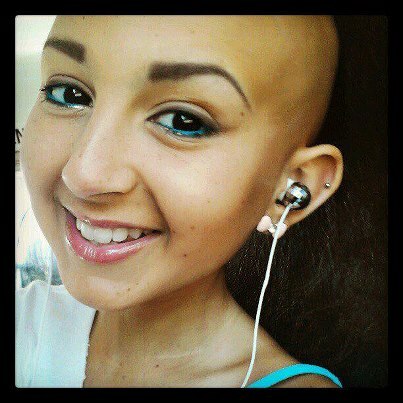 Currently battling two forms of cancer at once, Talia has chosen to use makeup to brighten her world. She posts videos her Youtube age, teaching over 130, 000 subscribers how to get a perfectly made up face in the comfort their homes. At 12, she is already a professional at makeup application. 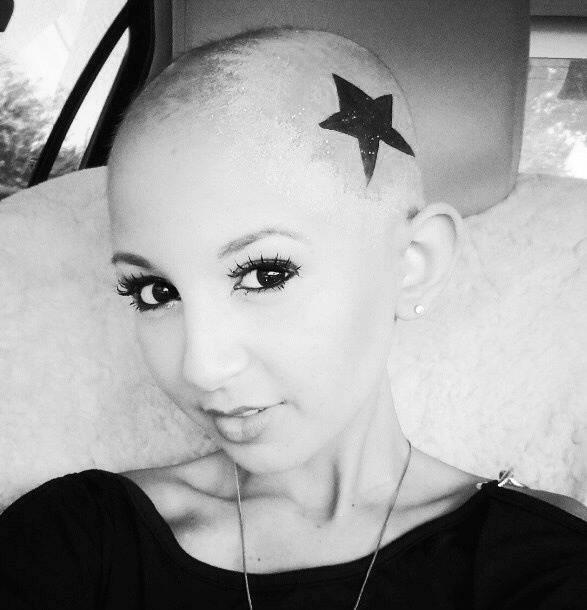 “I put on this makeup to feel better about myself, and every time I put it on, I don’t need a wig,” Talia explains. She’s convinced that people aren’t looking at her because she’s bald. Instead, they are looking at her beautiful face. Although Talia’ s options remain few she’s living her life to the fullest; a life which she has been told may be over between a few months and a year. In the meantime, Talia will continue posting her videos. She will also attend school whenever she can and being a huge fan of the Ellen DeGeneres show, she hopes to be able to get on the show one day. While Talia’s whole family has undergone bone marrow testing, and are still exploring other options, Desiree still believes in miracles and implores everyone to pray for her.